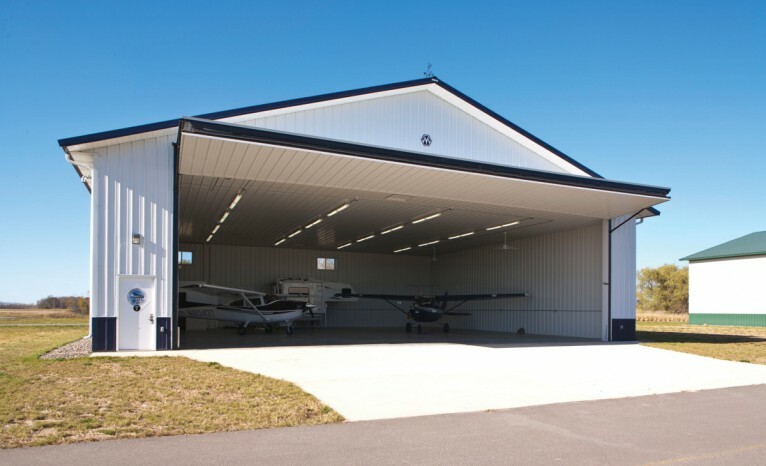 Our strong, rugged bi-fold hangar doors provide 12-24 inches more door opening clearance than any other bi-fold on the market. 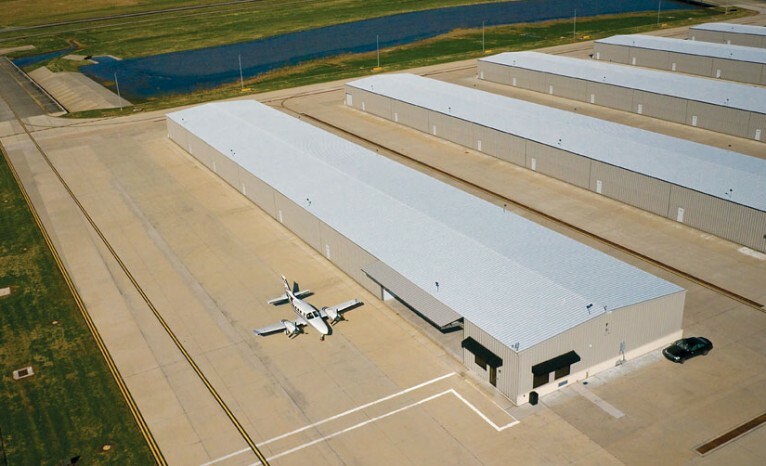 So you’ll have more room for your equipment, and less construction expense. 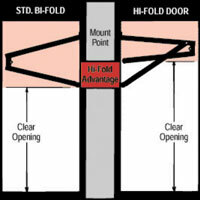 For fixed door mounting heights, as on existing buildings, the Hi-Fold Door provides you with 12” to 24” more door opening clearance than is possible with standard bi-folds. 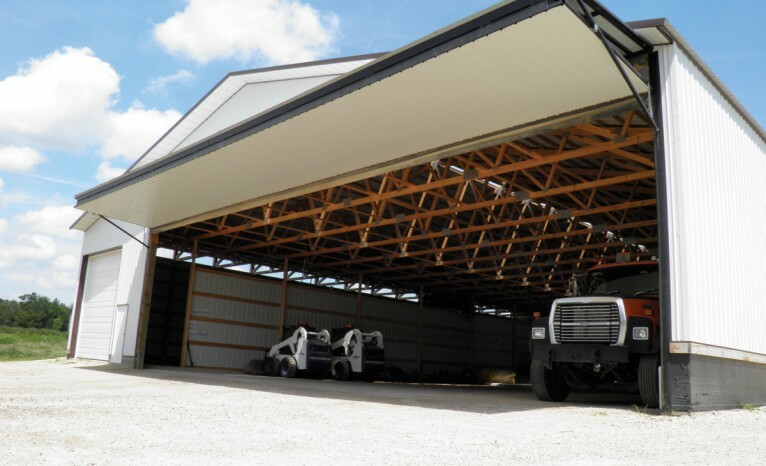 For required clear openings, Hi-Fold Doors open to within 10” to 28” of the hinge mounting line, providing clearance without increasing building height, as required with standard bi-folds. 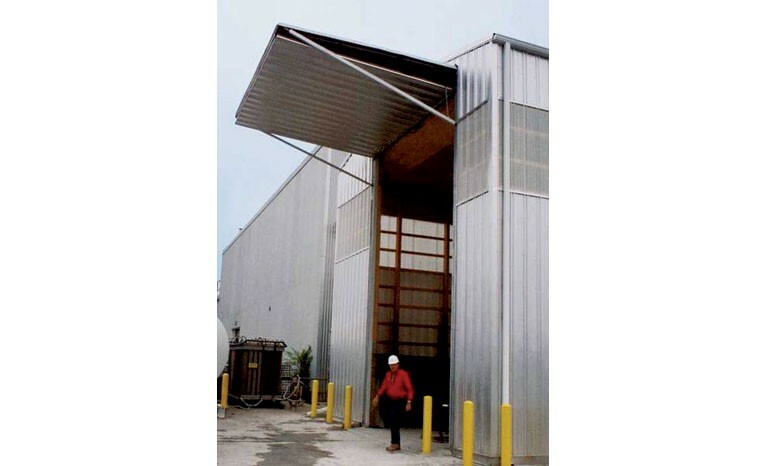 Save Money on Retrofit or New Construction! 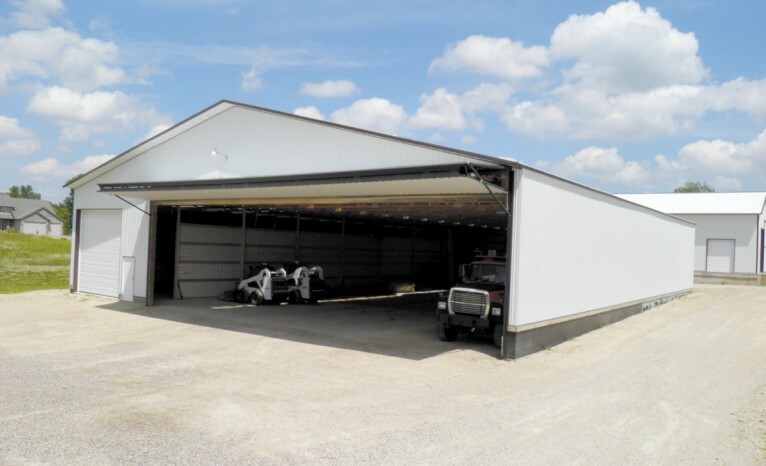 With Hi-Fold Doors, you can replace worn-out sliding and overhead doors or add a door to an existing building without sacrificing door opening clearance or changing the roofline. Save material, labor AND mounting clearance on new buildings!